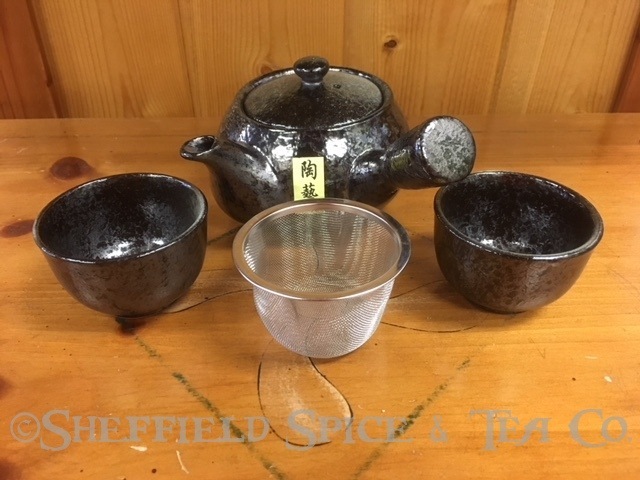 This Kyusu Teapot Metallic with 2 Tea Cups is like most other kyusu teapots, except that it also comes with 2 traditional size Japanese tea cups. A Kyusu is a traditional Japanese teapot used for brewing green tea. The word “kyusu” is Japanese for “teapot”, so it refers to any teapot in Japan. But, we usually think of them as having a single side handle. They can be made from clay or ceramic, glazed or unglazed. If you collect teapots, kyusu teapots make a wonderful addition to your tea pantry. They display beautifully as well. They come in so many beautiful styles, you might find yourself with a collection of them. 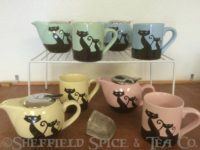 Kyusus come in various sizes, from one cup up to 10-12 cups. Most are the 1 to 2 cup sizes, with the tea being served in smaller Japanese tea cups, so you can share a pot of tea among several friends. Most kyusu teapots will have either a mesh filter in the spout, or a removable mesh infuser basket to catch or filter the tea leaves out of the cup while pouring. An infuser basket is preferred by many so you can remove it after steeping, keeping the leave from oversteeping. 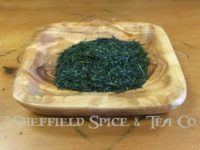 It also makes it easy to re-steep the leave for multiple infusions, which you can do with high quality green teas. 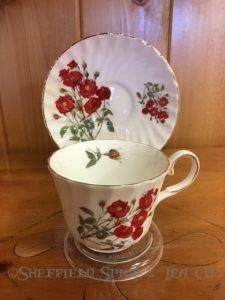 The clay or ceramic with which the pot is made, retains the heat, keeping your tea at an optimal temperature for a longer period between pourings if not all poured at one time. There are two ways to steep your green tea in a kyusu. The “Traditional” way and the “Western” way. The Western way is how we steep our green teas in a standard teapot, which can be used with a kyusu. Bring your fresh water to a rolling boil. Turn off the heat and let the water cool for one to two minutes, allowing it to drop to around 170-185F, depending on your tea. 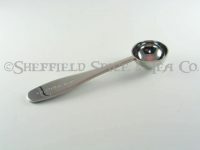 Add 1 to 2 teaspoons of loose tea per 6-8 ounces of water to the teapot. Pour the water over the tea into the pot. 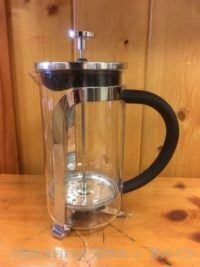 Allow the tea to steep anywhere from 30 seconds to 3-5 minutes, also depending on the tea you are using. (Follow the water temperature, amount of tea to use and steeping time recommended by the tea you are steeping. We have that information on the back of all our tea packages.) Once steeped, gently pour the tea into each cup and enjoy. The Traditional way to steep tea in a kyusu is similar to other traditional Asian ceremonial steeping methods. You first bring your fresh water to a rolling boil. Pour the water into the kyusu, allowing the teapot to warm up. After about a minute when the water will have dropped to about 195 degrees, pour the water into each tea cup, which lowers the temperature another 10 or so degrees and also warms the cups. Add the loose tea to the teapot. Once the cups have warmed up about a minute, pour the water back into the kyusu. The water temperature will have dropped to the right 170-185 degree temperature. Steep for the appropriate time then gently pour into each cup. The steeping method is up to you. But, either method you choose, use a high quality tea, which will release a full, grassy aroma and flavor, such as the green teas we carry. We carry a number of Japanese teas which we buy directly from the family in Japan which has grown, picked, processed and sold tea for over 150 years. So if you want to try various Japanese tea, please look at our Bancha, Fukamushi Sencha, Gyokuro, Houjicha, Kukicha, and Matcha Genmaicha. We also import our Ceremonial Matcha from the same family. 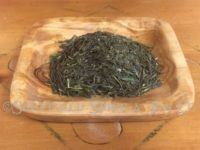 Buying direct allows us to pass on a substantial cost savings for the high quality of Japanese teas we offer. 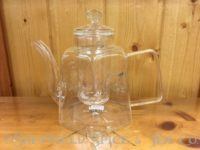 We have several other Kyusu teapots. Take a look HERE.